It's our friend. Our sustenance. Our healer. 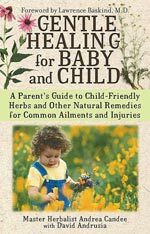 Andrea Candee, Master Herbalist, Instructor for the NY Botanical Garden, and author of Gentle Healing for Baby and Child, has learned to harness the power of nature through Herbal Mastery. 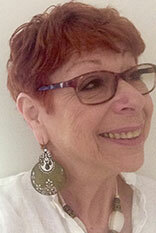 This web site is her way of sharing it with the world. Within these pages, you will find a vast resource of valuable information, natural healing products, services and opportunities for consultation and public speaking engagements by Andrea. Specializing in Lyme Disease and its viral co-infections, and Candida, Andrea confidently works with all types of discomforts in adults and chlidren. May the knowledge contained within be as valuable for you and your family as it has been for so many others. A unique therapy focused on enhancing energy flow throughout the body, Face Rejuvenation integrates nerve and muscle energy through the stimulation of select contact points. Combining energetic principles of quantum physics with breakthrough interactive technologies, the Meridian Health Assessment has transformed the wisdom of the past into the paradigm for health in the 21st century. Successfully helping chronic sufferers of Lyme Disease reverse their symptoms has been a large part of my holistic practice for the almost 20 years. While the bacterial components of Lyme are addressed with antibiotic cocktails, my work complements that of the Lyme literate physicians by addressing the viral co-infections I always find to be present in chronic Lyme. Working on the level of quantum physics...electrical energies and vibration, my individualized protocols address underlying pathogens that are not engaged by antibiotics. How to use it while protecting yourself. The Ray Away is a tiny device that adheres to cell phones, cordless phones and pagers. It diffuses and redirects microwave radiation emanating from the antenna away from the brain. It never needs charging or replacing. Email andrea@andreacandee.com to order. The USDA recommends we eat 7 to 13 servings of fruits and vegetables every day. Most people don't come anywhere close. 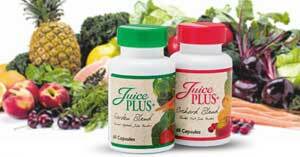 Clinically proven Juice Plus+ helps you bridge the gap between what you should eat and what you do eat, every day.